Get ready for Memory Ball this Saturday! Here are some essentials to get you in the party mood from our friends at Langton Communications. 1. A great dress! 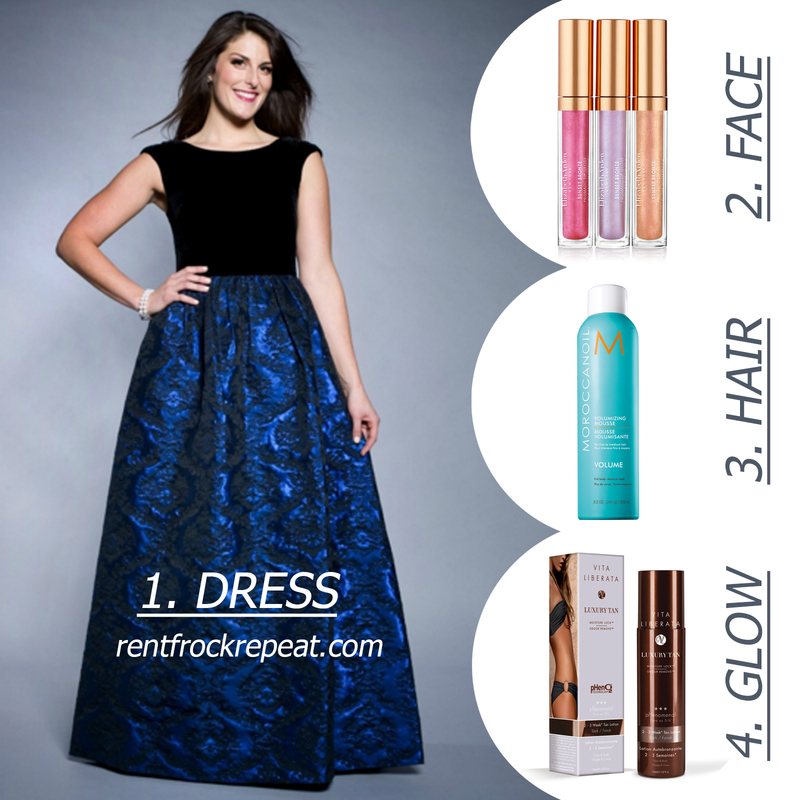 Rent Frock Repeat has some beautiful designer frocks at a fraction of the retail cost. Rent one with code MEMORY and you’ll not only receive a 15% discount but they’ll also donate a portion of your rental back to the cause. How charitable AND glamorous! 2. Face – from our custom SnapChat filter to the GIF photobooth, you’ll want to be camera-ready. Elizabeth Arden’s sunset-inspired hues will complement and accentuate your skin tone, plus it’s easy to reapply throughout the night. 3. Hair – Moroccanoil Volumizing Mousse will give your mane a boost of body while leaving it soft, shiny and manageable as you move your way across Palais Royale’s dance floor. 4. Glow – Didn’t get to a tropical destination this winter? Don’t worry, we won’t tell. And neither will Vita Liberata’s pHenomenal 2-3 week Tanning Lotion because guess what? It’s odour -free and goes on nicely without leaving any streaks. Bonus! It conditions and hydrates your skin for 72-hour skin hydration.